Another financial year has passed and a new one has begun. The ATO has released its new Compliance Program for 2012-13. We highlight the main focus areas of the ATO for Micro Enterprises and Small and Medium Enterprises (SMEs), that is all the things you need to be aware of that the ATO will be focusing on over the next 12 months. The ATO will actively support the many micro enterprises that make correct choices about managing their tax affairs. The ATO uses data matching processes to identify unreported transactions that can give rise to income tax, capital gains tax and/or GST liabilities (information provided by a micro enterprise to the ATO is matched against information the ATO is able to obtain from third parties). The ATO also uses industry benchmarks to try to identify businesses that are reporting income amounts outside what would ordinarily be expected for a business in the particular industry. The ATO looks at information from third parties such as property and share transactions, income from investments and trust and partnership distributions and payments made to contractors. Incorrect fuel tax credit claims following the implementation of the clean energy measure. The ATO will also continue to monitor property transactions and the GST that should be reported on them, the Luxury Car Tax, the Wine Equalisation Tax and on meeting their excise reporting requirements. Appling “risk differentiation” to income tax, GST and excise. Understanding GST obligations – the ATO want to ensure SMEs understand their GST reporting obligations and will be undertaking reviews and audits of affected businesses to ensure these businesses have adequate systems in place. The ATO is also concerned with ensuring taxpayers understand and report their GST obligations that may result from property sales. Make sure you have appropriate records in place that support transactions you have undertaken in your business. For example, if you operate your business using a company and are a shareholder and have taken out a loan, make sure you have a loan agreement in place. Your tax adviser will be able to assist you with all the documentation you should have on file for your transactions. 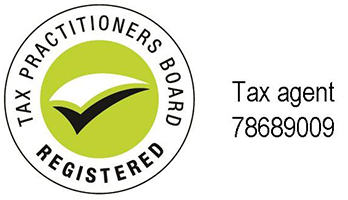 If you are unsure about how any of the tax rules work, for example if you might have an FBT obligation, if you can apply the small business CGT concession rules to a capital gain you may make from a disposal of an asset or just need some general information about what your tax compliance obligations might be for your particular business, see your tax adviser for help. They will be able to help you with all your tax questions. The ATO developed small business benchmarks in 2009 to assist them to deal with businesses who do not declare all their income. The purpose of the benchmarks is to provide guidance to businesses in particular industries on the range of income amounts and expenses the ATO would normally expect a particular size business in a particular industry to have. Some businesses report net income significantly higher than peers in their industry, which may mean that some businesses may not have captured all the deductions they are entitled to. On the flipside, some businesses report income significantly lower than their industry peers. The ATO is concerned here that not all income may have been reported or higher deductions than normally expected might have been claimed. So long as you keep good evidence (ie good business records) to explain your income and expense claims, your reported income should not be adjusted to match the industry benchmark amount. The ATO has noted improvement in the reporting of income in these particular industries: carpentry services, clothing retailing, hairdressers, restaurants, takeaway food services and electrical services. In the previous issue of TaxWise, we mentioned that the small business benchmarks had been updated with 2010 financial year information (the latest information available to the ATO) so the most recent data is reflected in the benchmarks. As part of the 2012-13 Compliance Program, the ATO has improved the information available which provides guidance on how the benchmarks are calculated so members of those industries know how the numbers have been calculated by the ATO. The ATO has also put better processes in place to ensure your business is measured against the correct industry benchmark. – find out what your industry benchmark is and compare to your net income. If your net income is higher, it would be worth checking to see if there are deductions you might have missed out on claiming. If its lower, make sure your records are in order and they support the income you have reported and the claims for deductions you have made. As noted in the previous issue of TaxWise, starting in the 2012-13 income year, companies (and entities taxed like companies) will be able to carry back up to $1 million of tax losses incurred in the 2012-13 year to offset against tax paid in the 2011-12 income year. From the 2013-14 income year, tax losses will be able to be carried back and offset against tax paid up to two years earlier. The Federal Government has issued a paper containing the details of what these rules might look like. Legislation is sure to follow soon, so if you think these rules could apply to you, it would be a good idea to start to plan for these rules for when they come in. If you incur losses in the 2012-13 income year, you might be able to carry them back to offset against tax paid in earlier years. Speak to your tax agent to see if you are able to do this. Requiring further explanation from the government around certain new concepts proposed to be included in the concession including what is a “material variation” that will trigger the application of the new rules to employees who are able to access the transitional rules and what are the circumstances when the 12 month time limit for the availability of the concession can be paused. These changes are due to apply from 1 October 2012. All employers who provide these types of benefits to their employees should consider reviewing their current arrangements and seeing how these proposed changes might affect those arrangements. If you think the LAFHA changes will impact arrangements you have in place with your employees, you should speak to your tax agent to discuss how these changes might affect you and your employees. If you have employees in your business, you need to be mindful of the changes to the superannuation system that are going to come through. Under the Government’s Super Reform package, new “data and payment standards” began to apply from 1 July 2012. These “data and payment standards” apply to transactions between employers and superannuation funds are a way of standardising communications (such as terms used and ways of transacting electronically with super funds) for transactions affecting super (eg employer contributions into an employee’s superannuation fund). The standards are required to be followed for all these types of transactions. 1 July 2013 – the Australian Prudential Regulation Authority (APRA) regulated superannuation funds and self-managed superannuation funds (SMSFs) must use the standard for processing rollovers between super funds. Funds must also process contributions sent through by employers who have chosen to apply the standards early according to the standards. 1 July 2014 – Large and medium-size employers (ie employers with 20 or more employees) must apply the standards to all contributions made to super funds. 1 July 2015 – Small employers (ie employers with 20 or less employees) must apply the standards to all contributions made to super funds (note this date may change in the future as it is subject to further consultation). As an employer, you may need to upgrade your internal payroll system to ensure it meets these new standards for processing and transacting in superannuation. If you are an employer, you should find out what the requirements of the new superannuation data and payment standards are and have a look at your payroll system to see if it meets the requirements as you may have to consider what steps you may need to take to ensure your business’ payroll system can meet the requirements by the relevant time. In the previous edition of TaxWise, we noted that the Federal Government had announced that changes will be made to the existing general anti-avoidance provisions contained in the Federal Income Tax Act (colloquially known as “Part IVA”). The Federal Government has committed to introducing this new legislation by the end of this year with the change intended to start from 1 March 2012. There are still no specific details about how these rules might be changed, though the amendments are meant to “clarify” how the current provisions work. Anti-avoidance provisions might apply to transactions where a taxpayer tries, for example, to structure a transaction to gain a tax benefit that may not ordinarily arise if the transaction is carried out in another way and there aren’t necessarily sound commercial reasons why the transaction was structured in a particular way. You should bear this in mind when considering new transactions to enter over the next few months. People who are directors of companies with employees need to understand the impact of these changes as they directly affect a director’s obligations and responsibilities under the tax law in respect of employee entitlements. If you are a director of a company with employees, seeking advice from your tax adviser is the best way to ensure you properly understand these new obligations. New directors do not become liable under these rules until 30 days after they became a director of the company. From July 2012, the ATO started issuing the Annual PAYG Instalment Notices to taxpayers. Payment of this instalment is due by 21 October 2012. This amount will be credited towards your income tax liability for the 2011-12 income year. If you think you need to vary your instalment amount or change the way the instalment amount is calculated, see your registered tax agent for assistance. One major issue that affects many businesses which employ people is whether a person is an “employee” or a “contractor”. Getting this right is important for an employer to make sure they withhold the right amounts from payments to the person when they should. The ATO has put together a decision tool to help business owners that employ people to decide whether a person is an employee or contractor. The tool can be found at this link: http://www.ato.gov.au/content/00095062.htm. Of course, if you are still unsure about whether a person you are hiring will be an employee or a contractor or would like to further understand the differences or consider whether you should hire someone as an employee or a contractor, speak to your tax adviser. The new rules comprising the Taxable Payments Reporting System began to apply from 1 July 2012 and affect members of the Building and Construction Industry. The rules require participants in the Building and Construction Industry with an Australian Business Number (ABN) to report certain payments made to contractors for certain building and construction services. Amount you paid to them (including GST). It’s not too late to start keeping track of payments you make to contractors for the 2012-13 income year. Take the time now to get on top if this obligation (if it applies to you). See your tax agent if you need help with working out if you will need to meet this obligation at year end.